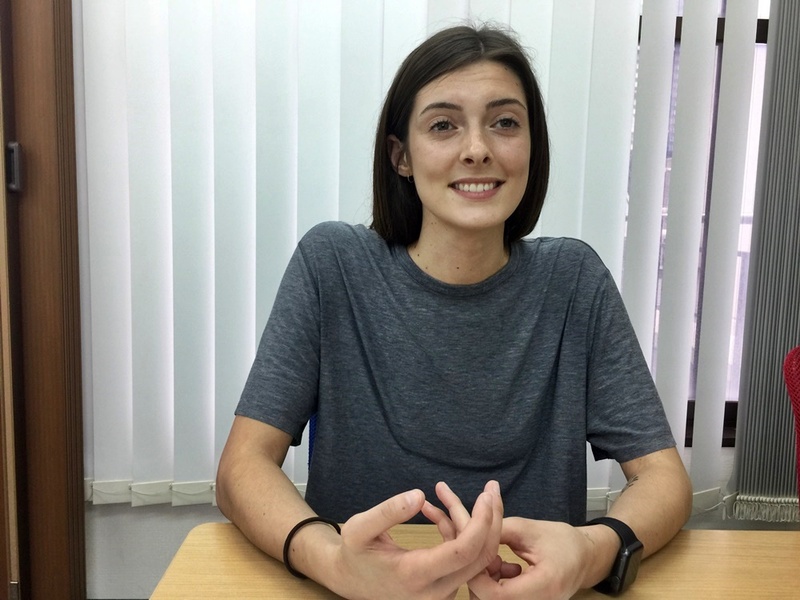 We’ve started with a new series of interviews that highlights foreign staff working at Japanese companies in 2017 to learn about their unique perspectives on Japan and its corporate culture. 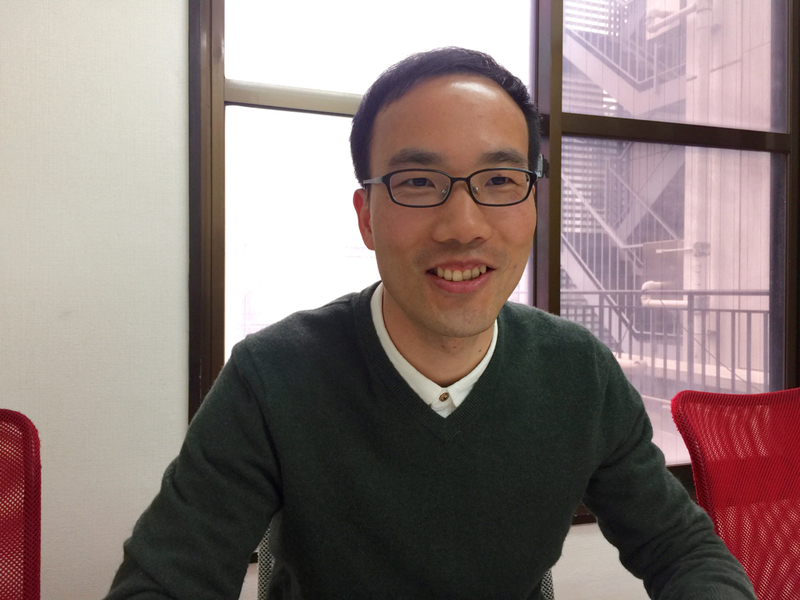 Our second interview was conducted with one Japanese startup company called Table Cross. The company was founded in 2014. 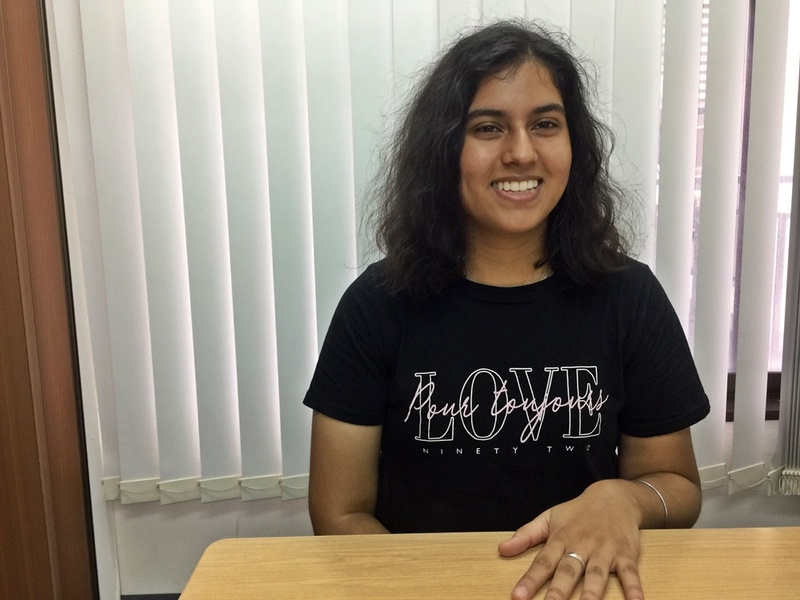 Kaoru Joho, founder and CEO of Table Cross, was just a 21-year old college girl when she released the app (also named Table Cross), which would enable people to give school meals to children in developing countries by booking seats at restaurants, bars, izakayas, etc. The app soon became popular and they needed to have more IT engineers to meet users’ demands. But Joho felt that there were few skilled IT engineers in Japan. So she looked abroad in order to find great talent. 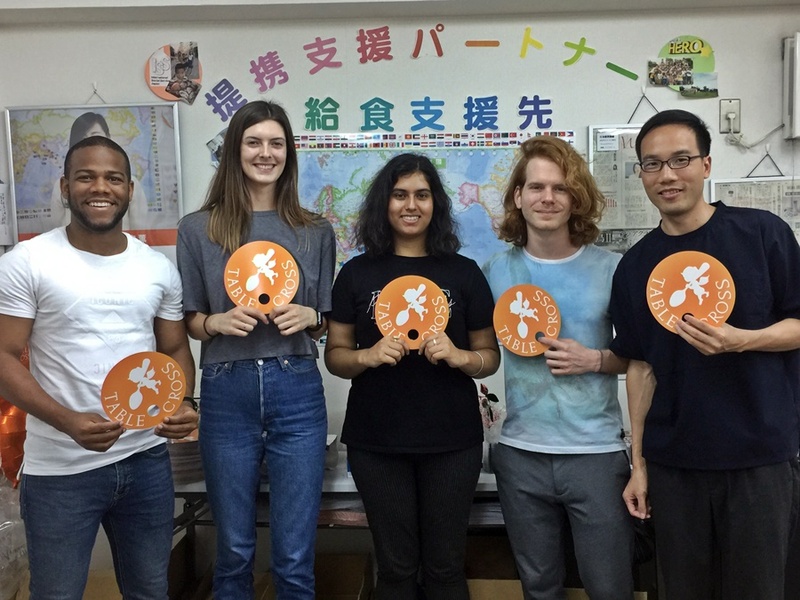 We’ll introduce you to five people from England, the United States, Jamaica and China respectively, who were able to do just what the changemaker wanted. *Click here and read how the one and only restaurant-reservation app was created. I’ve been helping with creating a recommendation system based on a user’s activity on the Table Cross app with my fellow interns. I’ve improved my programming skills and learnt how to use databases, which are exciting and new to me because previously I had very little experience of both. Working for a company like Table Cross was a completely new experience to me and finally I got a taste of the working world in this particular field. I’m glad I had the opportunity to experience the working environment as it’s helped my understanding in working with others and coding more efficiently. I’m a student who majors in Computer Science and I have just finished my first year in college. Personally, I don’t know which field of computer science I would like to specialize in, and so I am trying to do things at this age to find out which career path I would like to take before I graduate university. Using my summer to find work or an internship was something I wished to do to get experience ahead of my final year. I came to Japan as I was selected by my university through an application process. My university work with an internship company who gives students like myself the opportunity to go abroad for work experience. When I saw the notice of the internship abroad program at university, I straightaway knew “This is for me!”. 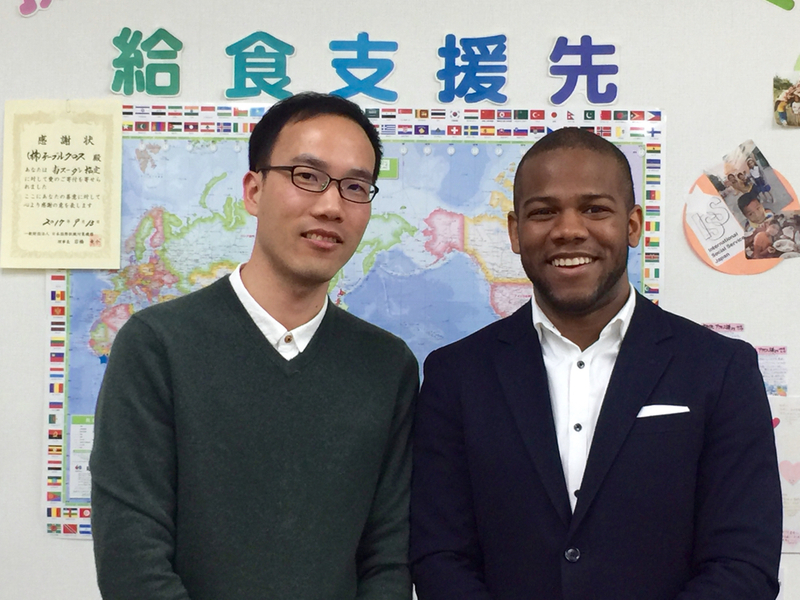 They offered a 2-month summer programs between Japan or Vietnam as an internship destination. I chose Japan because I’ve always wanted to indulge in the customs and lifestyle of everyday Japan. I have always been into anime such as “Attack on Titan”, ”Tokyo Ghoul”, ”Dragon Ball Z”, ”Yu-Gi-Oh”, ”Bayblade” and so on. Actually, it’s interesting to see the differences of the living style between UK and Japan, for example social etiquettes of using chopsticks all the time. I had never used them before in the UK so everybody in this company makes fun of me at lunch lol. But I think I can use them well now, better than when I first started. The internship company helped find Table Cross for me and the first time I heard about Table Cross I knew I wanted to be a part of the company’s vision. I go to the temple and pray every Saturday in the UK, there I help out through cleaning, making food, serving food for everyone in our community. This intrigued me about Table Cross because they work with charities to help out children. This is done simply through an app which can be used daily by anyone and everyone. I had a Skype interview with Kaoru Joho (CEO of Table Cross), Liu Jun and Rademe Budhai. My first impressions of them during the interview were that they were very friendly people, and this made me more excited to visit Japan. Also, it was very assuring that my arrival in Japan and the company would be welcoming and I would be staying in a happy, calm and a positive environment. I’m leaving here soon, but I hope the company will grow and have multiple offices around Japan in order to show their growth. I’m sure Table Cross will attract more people and restaurants to the app, and eventually help out more people in developing countries again showing the positive impact they’re making in the world. I hope to come back to Japan one day even if it’s just for a vacation because I love this country! Question: Why does everyone stare at foreigners? I’ve been working with my supervisors (Liu Jun and Rademe Budhai) and working on the recommendation section of the Table Cross app. It’s just to make sure if the user has a good experience using the app it may encourage other users to start using it. This is my first experience coding for a company so it’s been a really good experience. I haven’t had any work experience even in the US and this is my very first internship. I am currently in school and studying Information Systems. I’m going into my third year of college out of four. We have a really big study-abroad office at my university in Kansas. They offer different kinds of programs and I applied for one of them particularly focusing on Asia. We got interviews from different companies in different cities and one of them was Table Cross. I was interviewed by Kaoru Joho (CEO of Table Cross) and Liu Jun over Skype in May 2018 and I joined them in the beginning of June. Actually I had some other options besides Japan. But I felt I could be a woman in the workforce if I came here. And, Japan has a mixture of pop culture, blink city lights and beautiful greenery. Actually, I didn’t know anybody who lives in Japan and I’ve never studied the language, so I didn’t know about the country very much. But I think that was the best possible scenario for me because I’ve learned so much here. I’ve learned how to become one with another culture completely. That’s been a really good experience. I’ve been in Japan for two months and it’s tough sometimes because I missed home a lot. Also I’ve had a little bit culture shock like using trains because I’ve never used them before in Kansas. I also miss good hamburgers (lol). I’ve been involved in the volunteer works for people with some disabilities at college, so I felt the idea for Table Cross was really cool when I heard about the app. It makes you feel you’re helping people around the world. The purpose is amazing and it’s great mission to have. Joho (CEO) has really started something great. I’m really happy that I could have even the smallest part of it. It’s really inspiring to see somebody so young start something this successful. That’s really cool. The Table Cross app should be offered in more countries, not just Japan. I would use the app if it were available in the US! 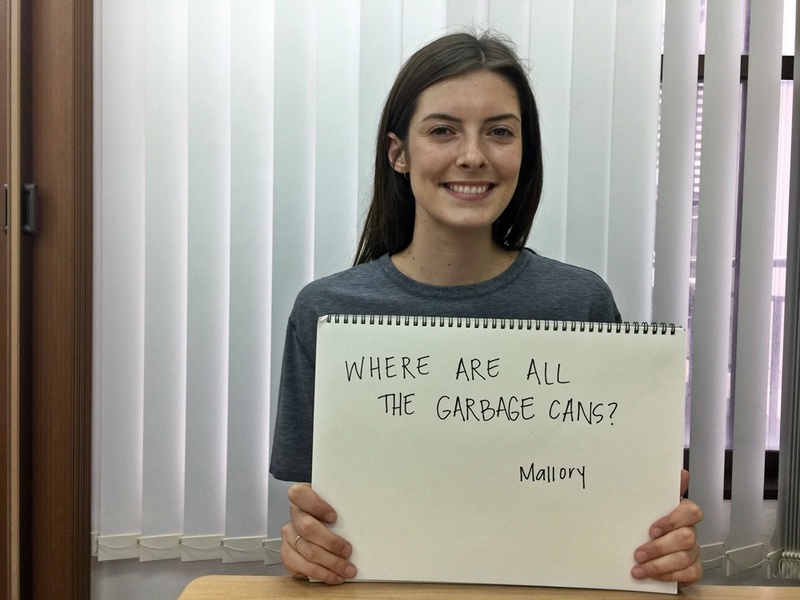 Question: Where are all the garbage cans? I’m working with my supervisors (Liu Jun and Rademe Budhai) on databases in order to improve the Table Cross app, give our users and customers a better experience and help contribute to children. I know a lot about web servers, hosting them and securing them, but Liu and Rademe have shown me more about the data side of things here, which is a different aspect from my background but still a similar field. Some of my skills overlap, but I’m learning new skills here. I’ve been doing IT professionally for close to ten years now. I started my career at age 18 at a company which fixes and sells computers to small/medium-sized service offices. I worked there for two years, then I entered college back in the US to study Computer Science. After I got my first degree, I started to work at the school at age 22. I was in charge of server administration and securing web servers of the college. During the break I also got Microsoft certifications. Recently, I went back to school in order to focus on degrees because they are not necessary to be renewed while you have to renew the certifications every few years. I have been both studying and working at college since then. Table Cross made a contact with me in March 2018 through a recruiting company which was at my college in the US. The recruiting company contacted me and asked for my resume, then it was sent to companies in Japan and Table Cross got interested in my career. That’s how I joined them. Originally it’s always been a dream of mine to vacation in Japan. I knew about Japan’s efficient public transportations even before coming here. I’ve heard that everybody in Japan is very nice and sweet. People can be shy, but they are always very helpful. So I decided to work here when the recruiting company first contacted me even though I already had other choices between other Asian cities at that time. I really love the idea of Table Cross, which uses technology to help feed children. Even people like me who have not been involved in charity very much in the past don’t need to change their life to help children if they use the app. If I can do something here that will feed more children, I’ll sleep easier at night and I’ll be more satisfied. I’ll leave Japan in mid-August 2018, but I’d like to see the app improve, get more customers, and more restaurants join in order to have more opportunities to donate food. I’d like to help it become regular app on everybody’s phone. If the name Table Cross became widely known, I think it would be a great achievement. 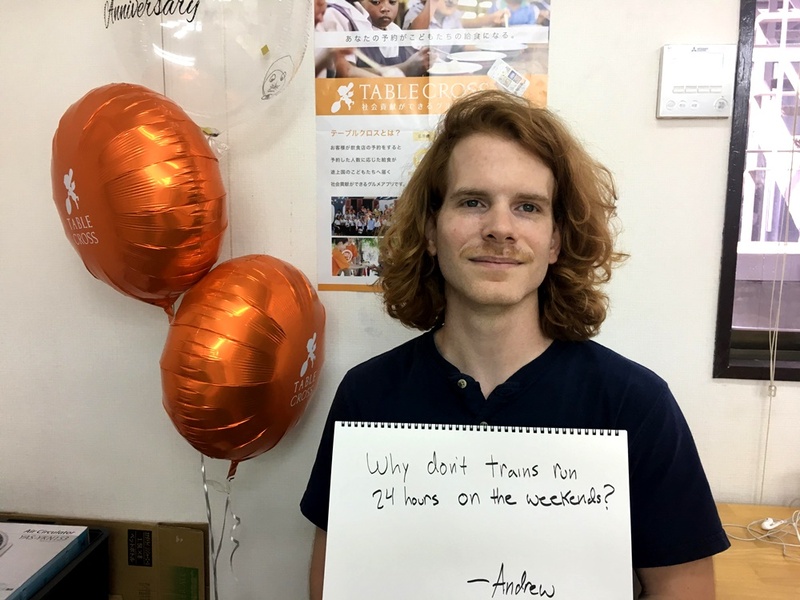 Question: Why don’t trains run 24 hours on the weekends? I’ve been working here as an Engineer for about half a year. When I heard about the concept and idea of the app, I just thought that it was really cool; because I could give something to children in need just by going out to eat. I always go to restaurants and I pay for meals because I usually don’t cook. I wish it were my own idea (lol). 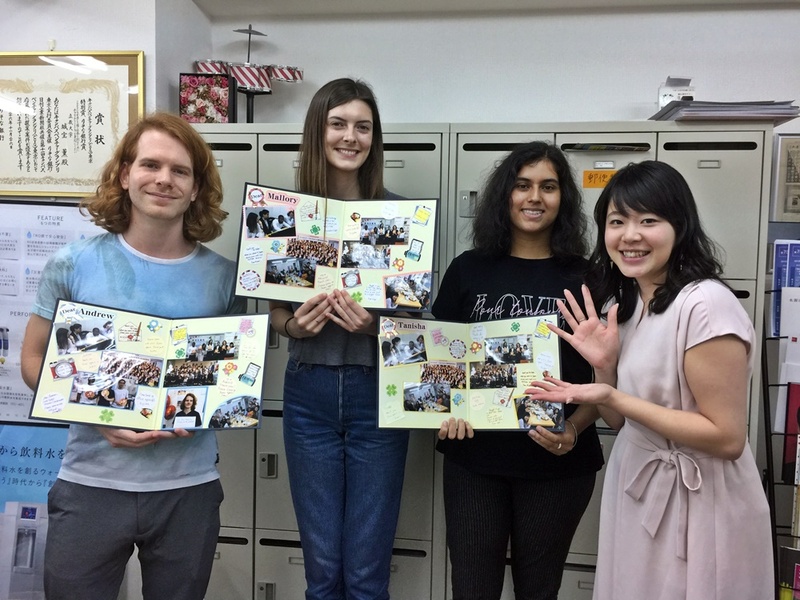 I came to Japan as an Assistant Language Teacher (ALT) two years ago. One of my friends who had been here as an English teacher for four years suggested I come here. I was familiar with Japanese cars and pop culture such as Dragon Ball, Pokémon, PlayStation and Sony video games, but still, I was not interested in coming to Japan at the time. However another one of my friends told me, “I’ve heard that teaching English in Japan is really good so we should check it out.” I was still not interested it at all. Eventually they convinced me and I said, “OK, I’ll try it.” My country is quite small and I was mostly bored. Also I learned that the IT and Engineering job market in Japan was much bigger than Jamaica’s. Actually I thought of going to the US, but I chose Japan because I heard about how the people in Japan were very nice and polite. Plus Japan is super-safe. I hoped to join a Japanese company in Japan after learning the language. I got introduced to this company through a recruiting company last October. 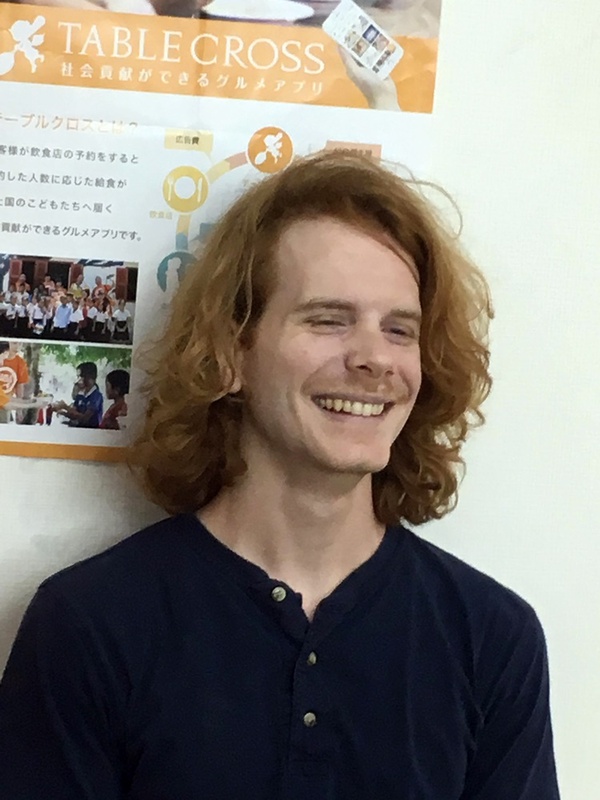 I was teaching English in Tokyo for some years, but originally my background is in IT. I majored in computer science in university, took an internship at my uncle’s company and worked for both the Jamaican government and my uncle’s company as a systems analyst. I want more people to know about us and to support our service. I want the app to be so good that everybody always uses it. And I want every restaurant in Japan to be a part of it. In order to realize that, I will do everything that I can with the app and continue to improve it to fit the latest iOS technologies. 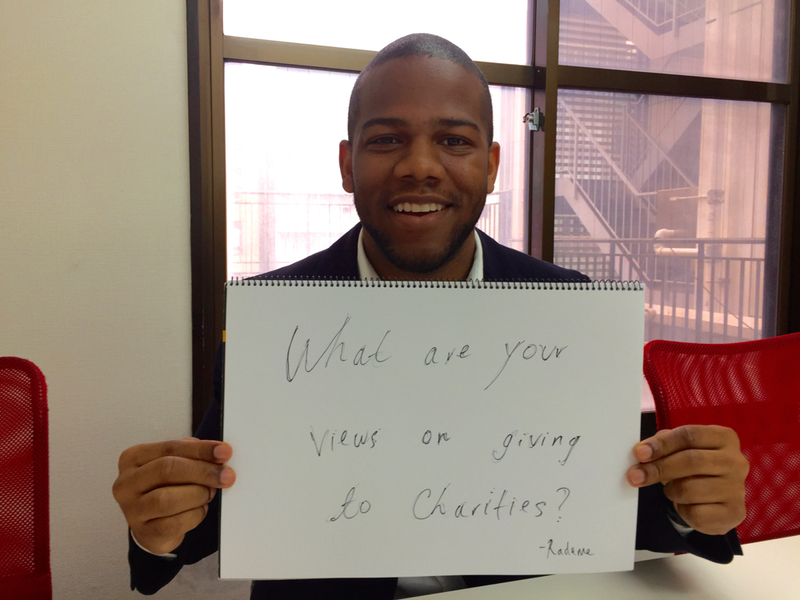 Question: What are your views on giving to charities? I have been interested in charities that offered aid towards those suffering from poverty all over the world and have been making contributions to society ever since a long time ago. We actually go visit the children that we support. We get ingredients at local markets, cook meals with kids and enjoy food with them. I’d like to participate in that. Originally I was involved in software development for Japanese companies as an IT engineer for about 6 to 7 years in Shanghai, China. 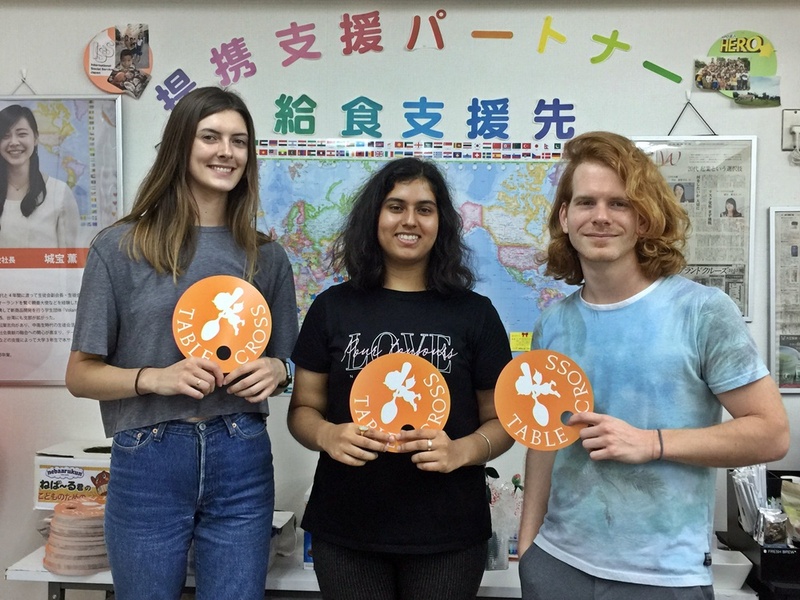 At that time I was not able to communicate well with our Japanese clients – many of them were financial-related companies – and so I wanted to improve my Japanese skills by working in Japan. Then, I happened to find a job opening at a Japanese company, so I applied for it and fortunately passed its entrance exam. I came to Japan about 3 years ago and joined an IT company in Tokyo. While working there, I was dispatched to 2 or 3 client companies and engaged in software development for them. However, we were forced to work under tight security, many of the employees of our client companies were working late, and it was not easy for us to decide things by ourselves because we had to follow their directions. In the projects conducted with multiple companies, we had to figure out who introduced it when we discovered a bug, even if any one of us would have been able to fix it immediately. That’s why I wanted to work at a company that developed its own services after. So I started to look for a job through LinkedIn, the business-related SNS. Then a Japanese gentleman told me about Table Cross. They develop their own services, so they have to be able to make all of their decisions by themselves. They do not need to outsource to other companies. Above all, they make social contributions through their services. 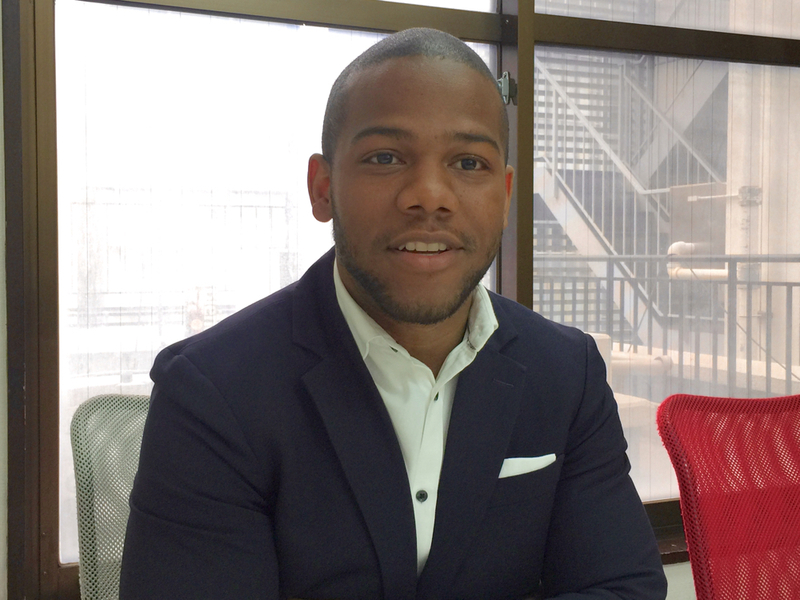 I got interested in the company and was interviewed by its CEO and other staff members. I could feel its generous-hearted atmosphere. And last October, I officially became an employee of Table Cross. I would like the Table Cross app to be available in Chinese in the future. But what we should do right now is to enhance the functions of the Japanese version of the app. I always think about how the app can be made more convenient for users, how we can provide more benefits to users through the app as well as what kinds of benefits we should offer in order to go into partnership with more and more restaurants. Also we must provide benefits other than “Satisfaction from doing something good” to users. I propose these ideas to my co-workers and discuss them on a daily basis. This was something I could NOT do when I was working as a subcontractor, so I’m really happy with that! 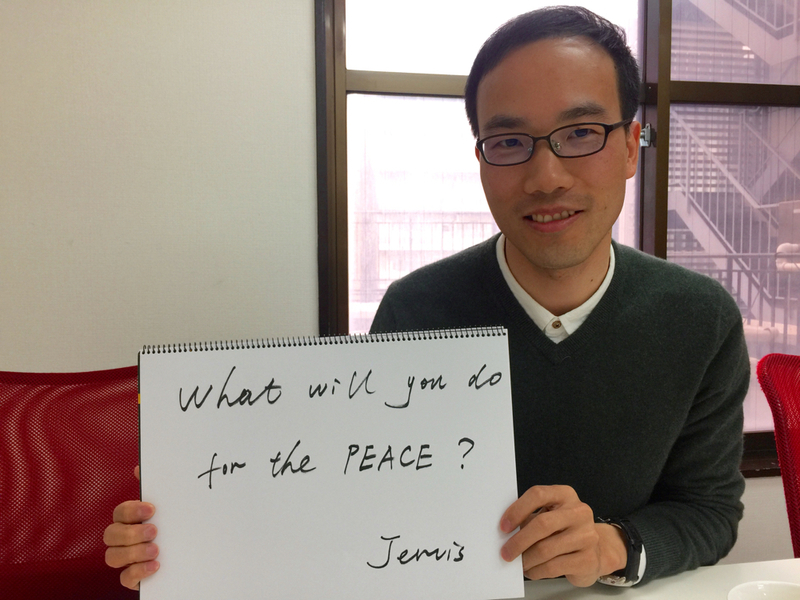 Question: What will you do for PEACE?